In an amazing stroke of cosmic luck, our closest Earth-like planet Proxima b turns out to be orbiting our closest star, Proxima Centauri, only 4.2 lightyears away! The Kepler space telescope has been expanding our knowledge of exoplanets – planets outside the solar system – for years now. The number of confirmed exoplanets from Kepler now exceeds 3000, and the rate at which our knowledge of these planets is increasing is truly amazing. Kepler is able to give us data on planets thousand of lightyears from our own little corner of the universe. So it came as a surprise, a number of months ago, when the very closest potentially Earth-like, habitable planet, turned out to be so close. Unlike its very bright neighbours, Alpha and Beta Centauri, which can easily be seen with the naked eye, you need special equipment just to see Proxima Centauri! Proxima Centauri is a red dwarf, one of the most common stars in the universe. In a bit of stellar Karma, it turns out that little stars like Proxima have much longer lifetimes that the bigger, brighter white or blue stars, or even our own yellow star, surviving for trillions of years – plenty of time for life to take hold if the conditions are right. Astronomers have been trying to unlock Proxima Centauri’s secrets for more than 15 years, using two instruments from the European Southern Observatory in Chile – the Ultraviolet and Visual Echelle Spectrograph (UVES) and the High Accuracy Radial velocity Planet Searcher (HARPS). Both instruments focus on deciphering the star’s ‘wobbles’. So why did it take so long? The detection was made more difficult by sparse data, and the long-term variability of the star itself, which masked the presence of the planet. With new, key observations made in 2016, the astronomers were able to confirm not only Proxima b, but also reveal indications of a possible second planet with an orbital period of between 60 and 500 days also orbiting around Proxima Centauri. Observations indicate Proxima b is around 1.3 times heavier than Earth, putting it into the rocky planet category. Although the planet is in the habitable zone, it orbits at only around 7.5 million kilometres, completing an orbit every 11.2 Earth days. 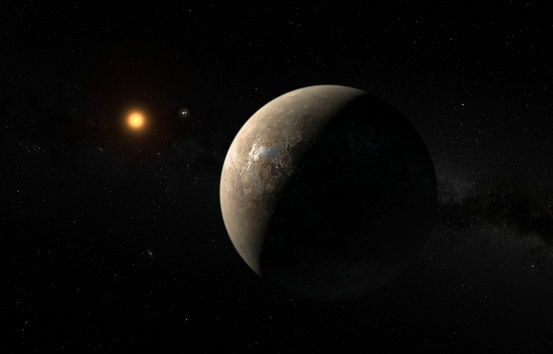 Due to the closeness to its host planet, astronomers consider it likely that the planet is tidally locked, divided into halves of night and day, and always showing the same face to Proxima Centauri. Earth orbits at 150 million kilometres, much further out from our brighter, hotter sun, but still in our habitable zone. The temperature is right on the planet for surface water to exist, but much depends on the planet’s history. If its star was very active, the water may have been blown away in its early formation, whereas if the planet migrated inward at a later stage, it might be water rich. So Proxima b’s in the habitable zone, which means it may have surface water, but will it have life? On the pessimistic side, it turns out that Proxima Centauri emits powerful flares and X-ray radiation. That may work to erode the atmosphere of the planet, although we don’t know how much because we don’t know if the exoplanet has a nice, strong magnetic field like Earth that would help to preserve the atmosphere and protect any developing life. We need to go and have a look. But how to get there? If we could shrink down to about two inches tall, we could hitch a ride on something like NASA’s New Horizon’s probe, which managed its trip to Pluto in around 9.5 years at around 84,000 km/h. That would get us a sneak peek of Proxima b in around 54,400 years. Hmmn. Or maybe the hotshot Juno probe that reached a whopping 265,000 km/h? That would cut the trip to 17,157 years. One option is to accelerate a small probe with solar sails to relativistic speeds using a high powered laser. Just such a thing has been proposed by the Breakthrough Starshot initiative. For around $18 billion we could build a system that would send wafer-thin probes to Proxima Centauri. The Earth-based laser would accelerate the probes to around 20 percent the speed of light (215.85 million km/h). That would get the tiny probes to Proxima Centauri in 20 to 25 years. What these small probes could tell us will rely very much on how powerful their miniaturized instruments were, and of course scientists being able to conceive a way for a targeted message to reach Earth with the data. It’s exciting that we have an Earth-like planet so close to our solar system. How we get there is one thing, but if human history tells us anything, once we want to go there – we will find a way. 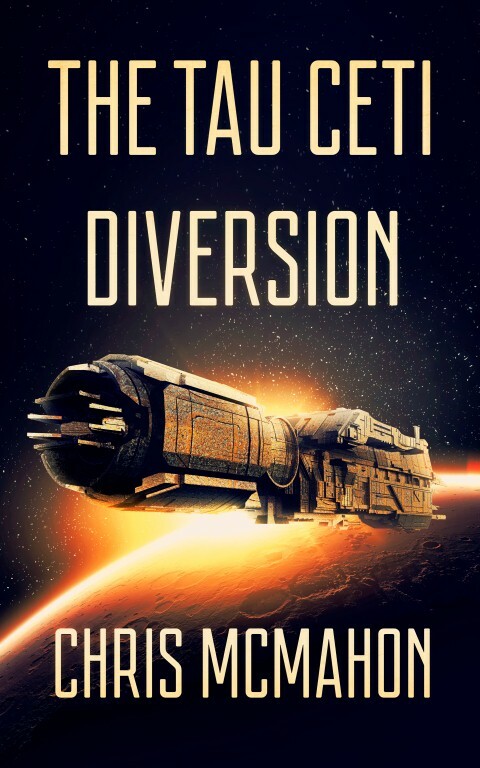 My novel, The Tau Ceti Diversion, a story about our search for new planets to colonise outside our solar system, and is now available on Amazon! Read more about what happens in the story here! 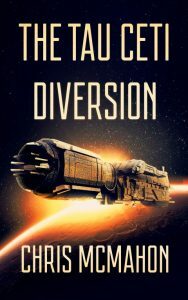 Check out the free chapter download!